When I start my pc stuck. 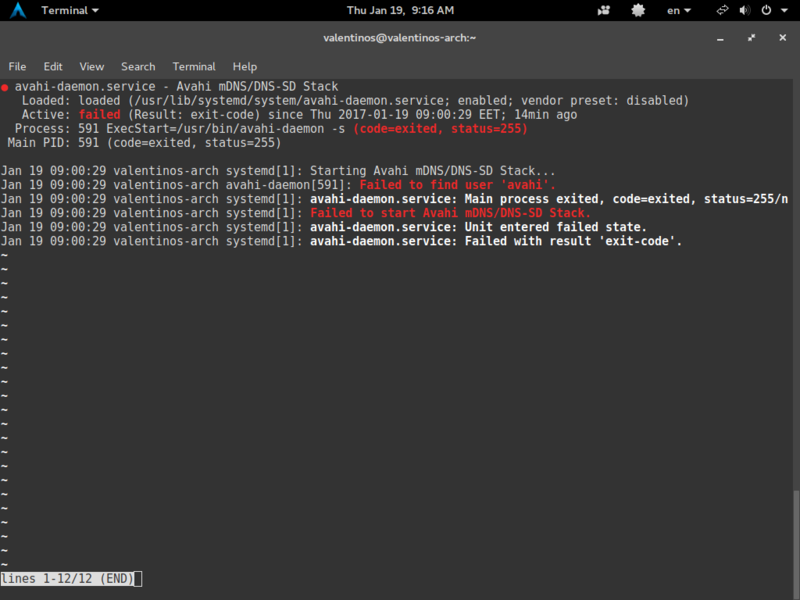 [FAILED] Failed to start Avahi mDNS/DNS-SD Stack, See ’ systemctl status avahi-daemon, service’ for details. in the beginning had this problem when I went to turn off my pc from the gnome menu shutdown button, I wrote the command sudo shutdown now was okay. now i write the sudo shutdown now or sudo systemctl poweroff stucks like a picture. Συγχαρητήρια όλους για την προσπάθεια που κάνετε. Μπράβο!!! 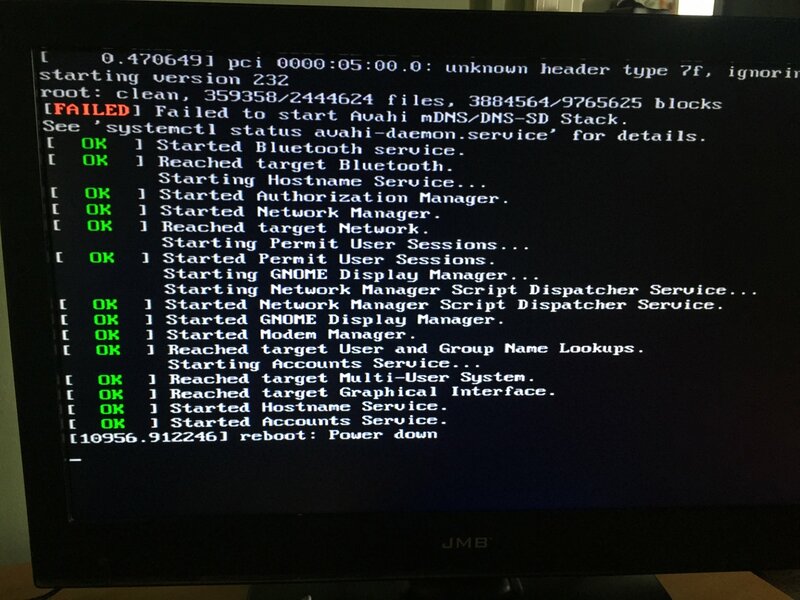 I tried the command “sudo systemctl poweroff” to shutdown my pc and still the same problem like a picture above. I have Antergos to my laptop with KDE desktop and no problem had like that, in KDE shutdown correctly. What can I do, Thank you for reply. 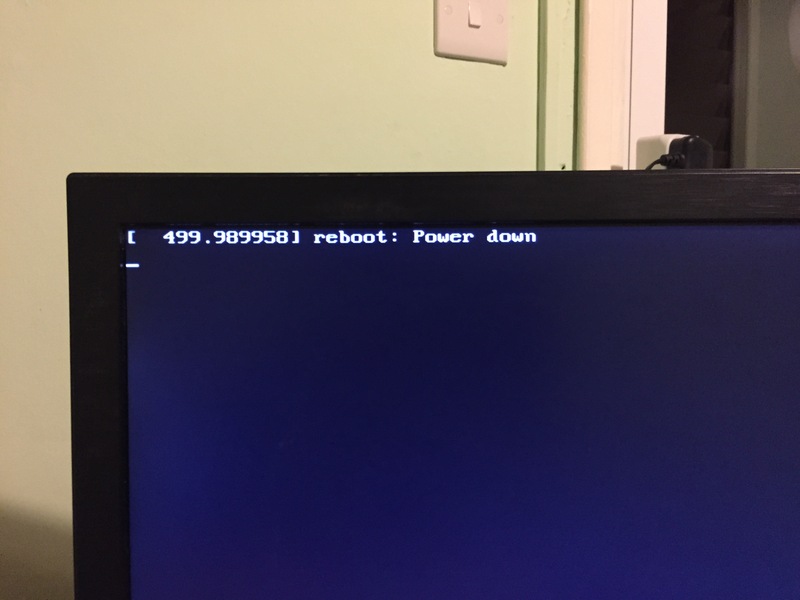 When I shutdown my pc stuck and do not closes , I try from terminal “sudo shutdown now” and I have the same problem like the picture below, pleae help me. Thank you in advance. 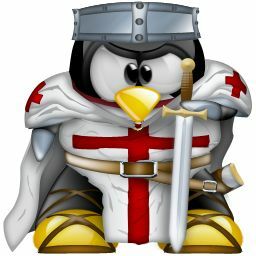 Hello I made a big blunder, I went to uninstall the cairo-dock from the system from pamac gui I wrote cairo instead cairo-dock ( cairo 1.14.6-2 searching the Internet I saw that what I did uninstall it graphics) and when I turn on my computer transfered in xorg on tty1. What to do thanks in advance. Failed to perform the process.